The U.S. Environmental Protection Agency (EPA) released its latest Greenhouse Gas Reporting Program (GHGRP) data this week, demonstrating that reported U.S. greenhouse gas (GHG) emissions declined 2.6 percent in 2017 and by 12 percent since 2011. The new EPA data also shows that methane emissions from reporting oil and natural gas facilities continued to trend downward last year even as production soared to near record levels. 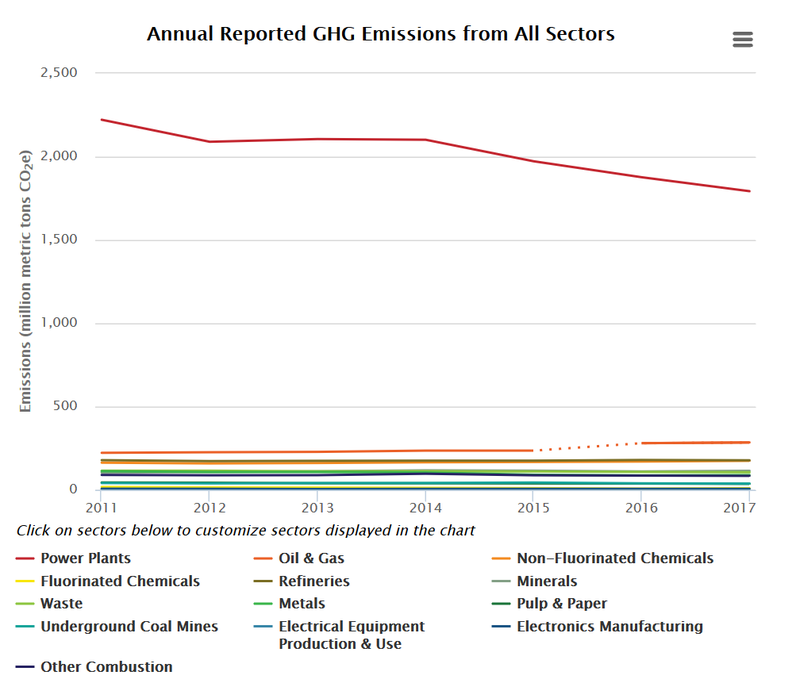 GHGRP data includes carbon dioxide and methane emissions reported to the EPA from large facilities and represents about half of total U.S. GHG emissions. Read the full report on EIDClimate.org.